Linc Kroeger, the Vanguard of Future Ready Iowa at Pillar Technology, is making waves in the agricultural industry and doing so while growing deeper roots in Iowa. As a company focused on consulting and business strategy, digital experience, user experience, and software craftsmanship, you may know them by a few of their notable projects like developing drone technology, the Tractor of the Future, and the Internet of Things. Linc is pioneering a new business model that brings tech jobs to rural America, something previously unheard of. As Linc states from his own experience, “It took me 15 years to get my computer science degree, but I had to leave Iowa because there was really nothing in tech. I had a great education but there were no jobs.” Linc is paving the way so the next generation of techies can have a different experience. 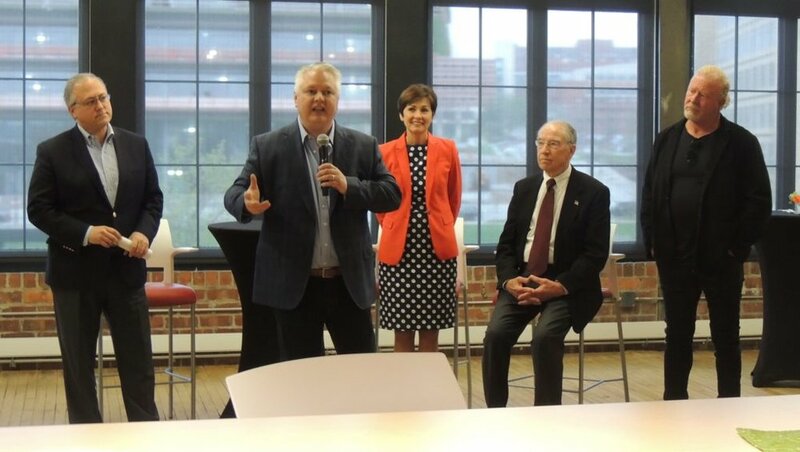 Linc was appointed by Governor Kim Reynolds to the Empower Rural Iowa task force which is chartered to create solutions for the unique challenges of rural Iowa in order to maintain its vibrancy and ensure there is opportunity everywhere. Linc is also a board member of the Technology Association of Iowa, which unites Iowa's technology community by connecting leaders, developing talent, driving public policy, and fostering diversity and inclusion. What makes Linc stand out for the Ruralist? Linc is driven by his vision for a better future for those around him, with a big heart for bringing vision and opportunities to communities who have been left behind. He is a visionary who recognizes and identifies challenges and risks, and then takes action on how to minimize or solve these issues. You can count on Linc to bring passion, integrity, and commitment to everything he does. How is he impacting rural America? Linc Kroeger is taking an industry that is virtually non-existent in rural America and not only paving the way for technology to have a place here, but creating a model that will stand as an example for many industries to learn from as they seek to grow their footprint in rural communities. Here’s a little background behind Linc’s latest project: Pillar Technology has created a Forge network of business strategists, digital experience creatives, and software artisans collaborating to solve business problems in a no-constraints think tank. With Forge locations in four major cities (and more on the radar), recently Pillar Technology has turned its focus to rural America, signing their first agreement with a rural community to open a Forge location in Jefferson, Iowa. Future Ready Iowa from Pillar Technology on Vimeo. This new rural Forge location will start by working with the local high school and community college to teach technology-focused classes. Students who graduate from the community college software development program can apply for an 8-18 month software development training academy - which can lead to a full time job with Pillar with a starting salary between $55,000-$60,000. Oh, and did we mention Pillar Technology is picking up the training academy tab? This means an opportunity for people 21-22 years old to live in a rural community with no college debt, making around $60,000 a year - near the top 20 percent in rural Iowa - and after two years of work experience, their salary will rise to above $75,000 a year. And the man behind it all? Linc Kroeger. Growing up in rural Iowa, Linc realized firsthand he would have to leave the state if he wanted a career in technology. So he’s taking his experience and using it to "Forge the Future" for the next generation of rural Iowa techies.